Well-known to opera fans throughout Europe — and beyond — the Bregenz Festival in Bregenz, Austria had its first performances in 1946, a year after the end of World War II. In a town that didn’t even have a theater, the notion of staging an opera festival seemed odd, yet the people of Bregenz were determined to make it work. The solution came in the form of creating stages on two floating barges on nearby Lake Constance. With the participation of the Vienna Symphony Orchestra, the festival caught on and this outdoor event has flourished — and even today, continues with its floating stage concept. A few years later, the Festival acquired its first home: an offshore stage erected on wooden piles, with a capacity of 6,500 seats (now expanded to 7,000) in this open-air venue. Today, the site boasts the world’s largest floating stage and attracts opera fans from around the world. Known for its beauty and set amidst the natural backdrop of Lake Constance, the Festival features oversized stage sets, technical prowess and an enviably organic sound quality. Carmen is the 1875 opera from composer Georges Bizet that tells the story of Don José, a Spanish soldier who abandons his sweetheart and deserts his military post after being seduced by the gypsy Carmen. Later, after she jilts him in favor of a famous bullfighter, he kills her. Arias in the show — such as “Habanera” and “Toreador Song,” are among the best known works in opera. For the first time, with Carmen, the Bregenz Festival staged a popular opera in the open-air amphitheater for two seasons in a row, selling out every performance of the 2018 run. 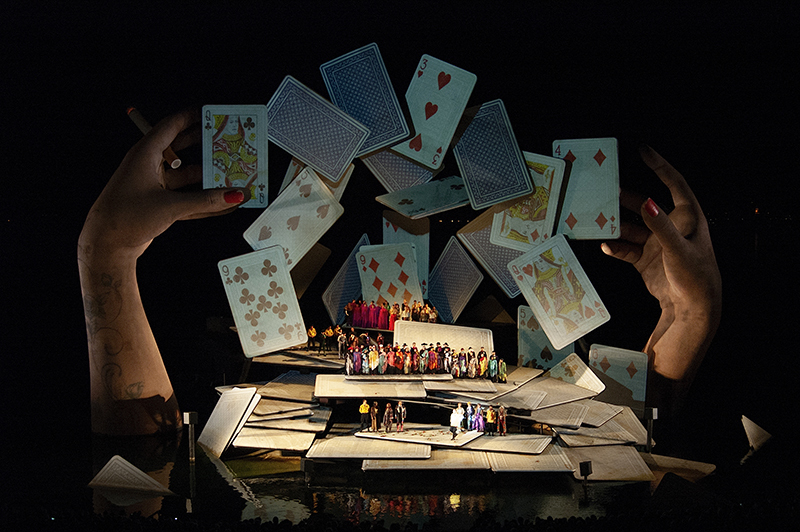 The show’s staging is a sight to behold, with two giant hands rising out of the water and tossing playing cards into the air, which mimics the scene where Carmen interrupts one of Don José’s card games in a local cantina, followed by her doing a tarot reading that foretells the death of a lover. The set is impressive, rising up some 75 feet above the deck of the raft. Carmen sound designer Alwin Bösch and sound engineer Gernot Gögele wanted match the scale of the set with equally impressive sonics that would push the boundaries of operatic sound with a totally immersive audio production. Manipulating a huge number of inputs would be no easy task. The pair had been working with a Lawo mc266 production console since 2005, which was tailored to the exact requirements of the Bregenz Festival. When it became clear that updating this desk would be too expensive in the long run due to all the custom features that had to be taken into account, the Bregenz Festival management and sound engineers decided to upgrade — again choosing Lawo, not least because of the mc266’s reliability and Lawo’s excellent customer service. 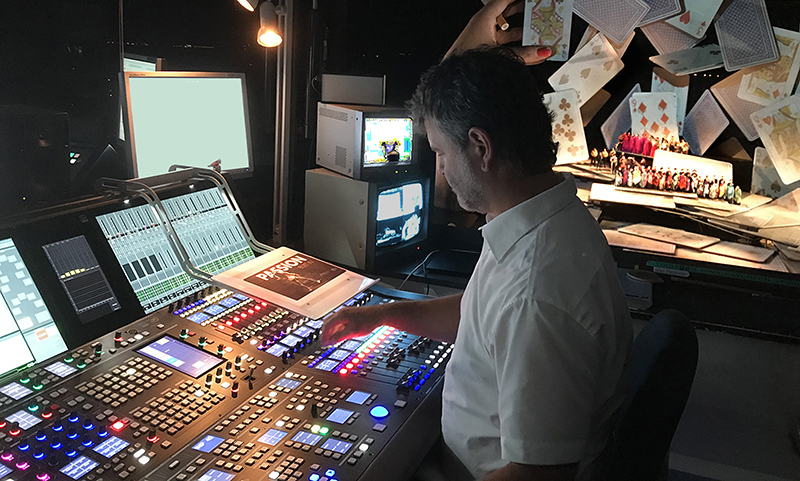 A new IP-based Lawo mc296 grand production console, the flagship of the mc2 family, was installed in time for this year’s live opera performances. Gernot Gögele at the Lawo mc296 console, creating and storing offline spatialization moves. Note the miniature set on his right that is used as a visual reference. Reflecting today’s requirements for 3D/immersive audio productions, the mc296 provides not only superb tools for surround sound mixing, but also a dedicated elevation controller as standard. The mc296 offers integrated loudness metering with control in accordance with ITU 1770 (EBU/R128 or ATSC/A85), and features peak and loudness metering — either separately or in combination. 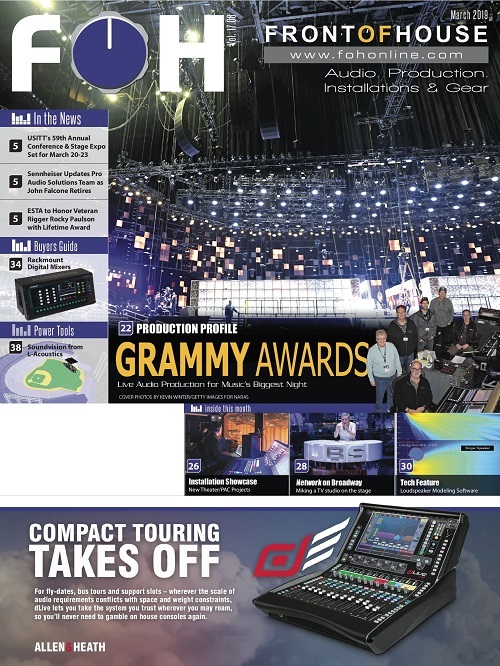 Addressing broadcast, live and theater applications requiring very large-format mixing and routing functionality, the mc296 offers many innovative mix-assist systems that allow operators to focus on creating sophisticated, high-impact audio presentations. Among the desk’s automated mixing capabilities, an Automix function can automatically adjust the levels of active and inactive mics while maintaining a constant, natural-sounding ambient level. Sound engineers can thus concentrate on the overall balance and sound quality of the production. The mc296 can also be operated in Multi-User Mode, with 96 rotary encoders in each 16-fader bay giving direct access to all parameters, effectively creating an additional central control panel. Color-coding of the encoders, coupled with the high-res color TFT displays, guarantee a perfect overview. Users can create, save and recall multiple customized control layouts directly to their own bay. 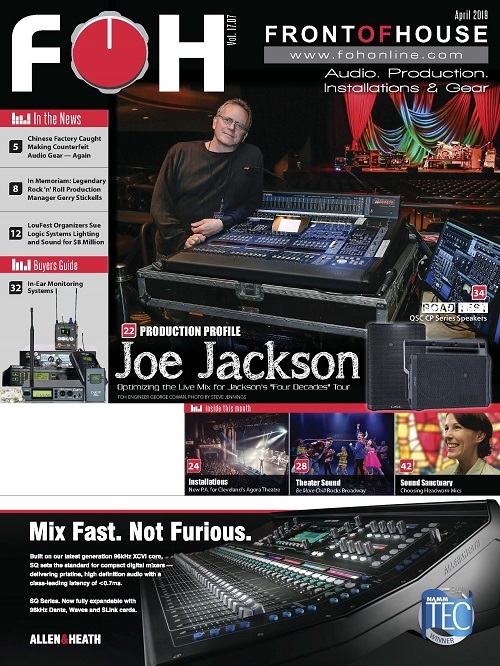 “The new production console is outstanding. The technology is state-of-the-art, and the system can do just about anything. Together with Lawo, we adapted the mc296 to our specific sound reinforcement needs,” said Bösch. Despite the differences between the two Lawo consoles, many settings of the mc266 could be directly transferred to the mc296. The peripherals — including Lawo’s Dallis I/O components — remained unchanged, and as a result, there was no need to repatch the “Bregenz Directional Listening” system (64 inputs to 128 outputs, 800+ loudspeakers). With a different console and the associated interface conundrums, the transition would have taken significantly longer – there were only four weeks between the mc296’s installation and the first performance. The changeover to the new console went surprisingly fast. Bösch and Gögele were up and running with the mc296 workflow within a week. The Bregenz sound reinforcement system relies on Wave Field Synthesis (WFS). 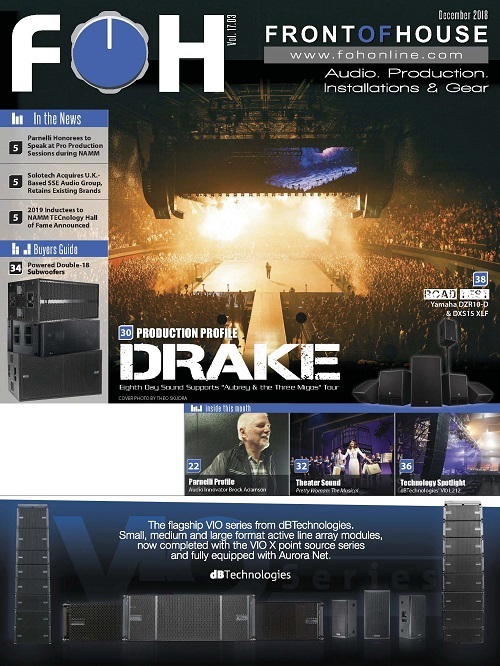 WFS produces artificial wavefronts generated by a large number of individually driven loudspeakers. Unlike with traditional spatialization techniques – such as stereo or surround sound – the localization of virtual sources in WFS does not change with the listener’s position. 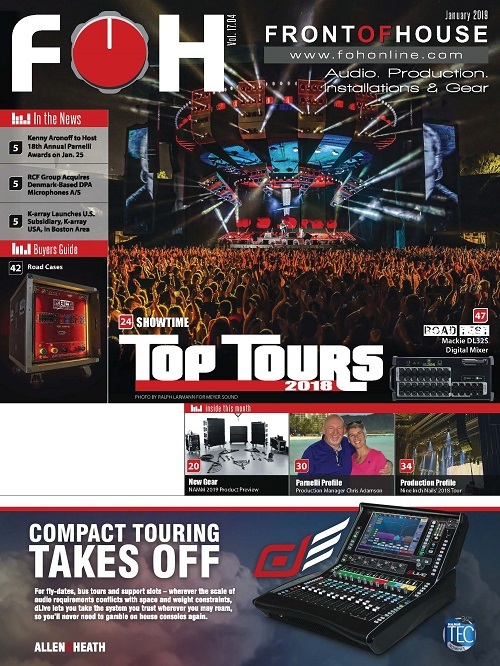 In the Bregenz Festival’s case, this approach leverages the raw DSP power and routing capacity of four Lawo HD cores. Bösch and Gögele were very satisfied with the sound of the performances. One of their personal highlights was the Michaela scene where the shepherds walk into the mountains. To simulate this distance effect acoustically, WFS was used to “move” the orchestra towards the audience, after which it “wanders” back to the stage. When Michaela begins to sing on the thumb of the giant hand to the left of the stage, her voice seems to be at the heart of the auditorium, which may come as a surprise to the ears but makes sense within the visual context. Actors and technology are closely interwoven in the sound design devised for the Bregenz floating stage. To begin with, the set is huge, forcing the performers to wear headsets – not typically found in classical music – and to cover significantly longer distances on stage. Localization of sound effects and dialog change in accordance with the actor’s position, thanks to spot loudspeakers built into the set but invisible to the audience. The new mc296 console also brings new features to Bregenz. 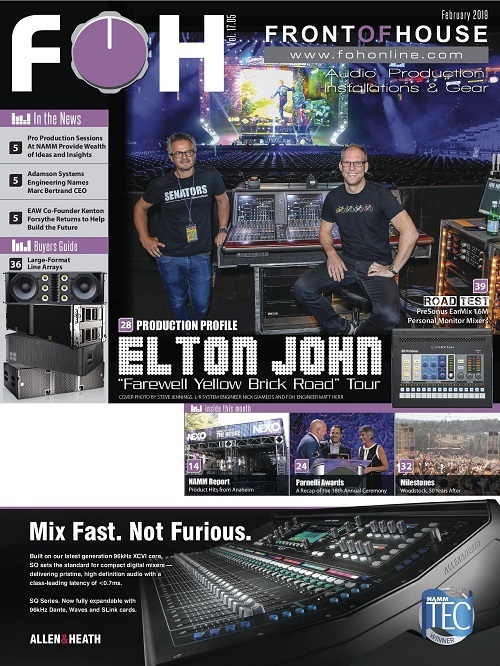 The double-layer function, with two vertically arranged faders per channel strip, means that sound engineers do not have to move back and forth to change an audio setting. This allows them to remain in the sweet spot, i.e., close to the open window of their control room, as no speakers are used for monitoring. Another novelty is the failover system that can now be managed via a laptop. For testing purposes, the console’s user interface was deactivated before the start of the season to establish how the sound reinforcement system would respond. As expected, the sound kept going. Then, the laptop (running in parallel) was opened and used as alternate user interface. This worked smoothly, except maybe that moving virtual faders on screen requires some practice. In the case of the former mc266, the redundancy system was based on a hardware console, which is no longer required for the mc296.